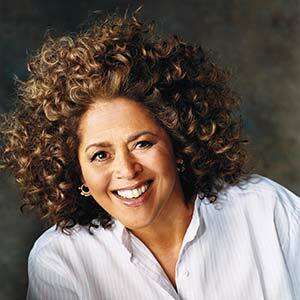 Anna Deavere Smith, playwright, professor, and actress, widely known for her roles in The West Wing and in the Showtime series Nurse Jackie; excerpted from an interview with the National Museum of American History, October 6, 2017. 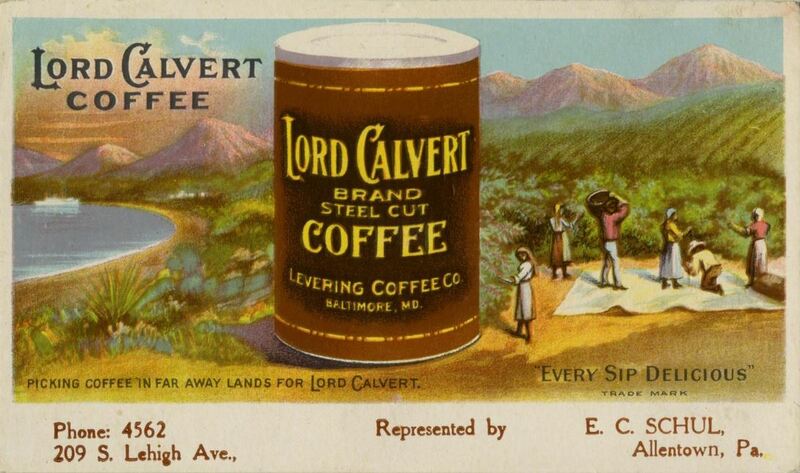 Advertising card for high-end Baltimore-based brand Lord Calvert Coffee, in business from about 1847 through the 1950s. I liked to listen to my paternal grandfather, who was a very important figure in my life. His name was Deaver Smith Sr., and he was a coffee merchant. At a time when most people were drinking Maxwell House, he serviced restaurants in Baltimore and Washington, black businesses, with his beans and teas and other condiments. He had an eighth-grade education and started his business with a little basket of teas on the corner of a street and managed to send all of his children to college. And, of course, I listened to my grandmother on my mother’s side, Pearl B. Young — my corporation is named after her — and Miss Johnson who lived next door. I would go down the street and get fatback for her, and she would ask me to scratch her back while she would tell me stories. My mother was in labor with me for five days, and I think that was a very dramatic event in the family. I came down the birth canal, and then I turned back up. I read very quickly and early, and I skipped a grade. I wasn’t really a studious child, but my family identified me as the smart one. I didn’t play sports; I was a chubby child. Nobody wanted to have me on their team. But I was a nice kid, and so, in a lot of environments like camp, I would be put in the tent with the worst kid in the whole group because they knew I wouldn’t fight back. It’s funny, because people now think of me as a fighter, as controversial; they call me an activist. I take on race, and people are so afraid of race. If you walk in a race riot or go to Rwanda 10 years after the genocide to see how the pieces are being picked up, or if you go to South Africa in the midst of an AIDS epidemic, man, you are just somebody who’s looking for trouble. But to me, all of those journeys, all those experiences, are about seeking the whole story, seeking that which is not me, without judgment, to the extent that I can. I went to Western High School. It still exists as an all-girls school. In formal education, that was the best part of my intellectual development. When I went to Western, it was predominantly white. Baltimore has a very big Jewish population and Catholic population, and it was not just a city of racial segregation but also a very anti-Semitic town. 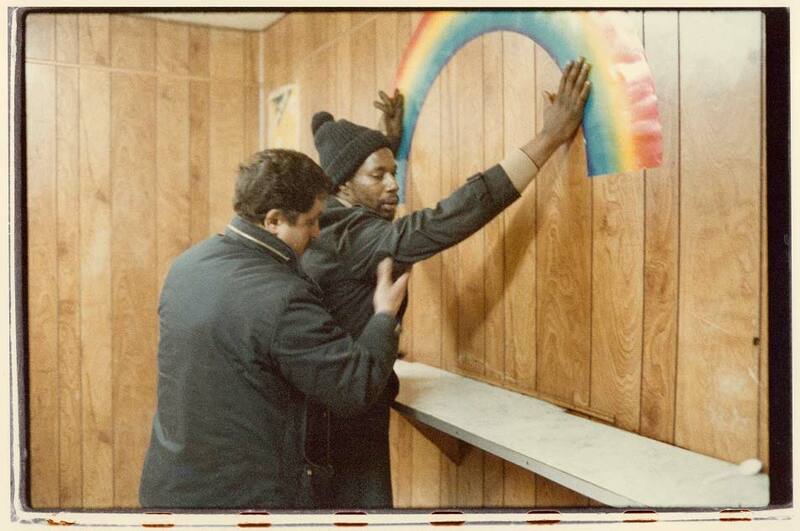 High school — it was this incredible opportunity to understand that the divisions weren’t just between white and black, but within the white community there were divisions too. And my friends tended to be young Jewish women. And, in thinking about my new play, Notes From the Field, which is about kids who can’t get through school and end up incarcerated — what is called the “school-to-prison pipeline” — it made me question what could have fostered the type of intellectual community in a de facto segregated town like Baltimore. 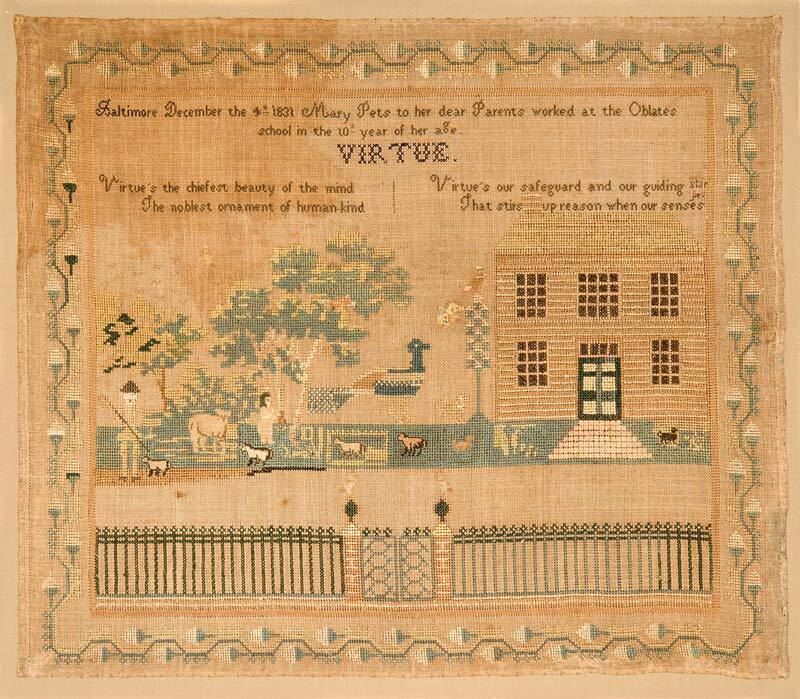 This 1831 sampler is the first in Maryland completed by an African American schoolgirl, Mary Pets, at the Catholic school Oblate School for Colored Girls, now renamed as St. Frances Academy. There was a vice principal named Mr. DeWolfe, a white man who was handicapped, and the other vice principal was a very, very elegant, erudite black woman. Essie M. Hughes had taught generations of black people when there was flat-out segregation. So on my first day of school, when I expected to be absolutely terrified and alienated, I was walking down the hallway, and this woman said, “You’re a Smith.” She had taught all of my uncles and aunts on the Smith side, and she’d taught the children on my mother’s side. And I think, because we had this African American woman and a handicapped male as persons of authority, they also stood as emblems of compassion, kindness, and possibility. And that we saw them standing in the hallways every single day, looking for trouble — it was great. There is an interesting thing about [photographer and painter] Chuck Close. He can’t recognize faces, and yet that’s what his work is. When he was a child, he could do magic tricks, and he realized that by doing magic everybody would come to him. I was a mimic when I was a kid. And since I couldn’t run after everybody, this is how I would make them come to me, over in the corner, [whispering] “Do Miss Bruce. Do Miss Bruce.” And what I loved about it is the kids who didn’t want to be together would all crowd in next to each other. “Do Miss Bruce. Do the geometry teacher. Do Miss Kaplan.” And there we’d have, like, the blacks and the Jews and the Catholics all in the corner with me mimicking our teachers, but you had this sense it wasn’t a good thing to do. At Beaver College, I started out as a language major. I don’t know where I concocted this idea, but I wanted to be a linguistic ethnologist. Learning languages came very easily for me, and I felt that, if I knew a lot of languages, I could be useful in terms of peace in the world. Of course, this was during the civil rights movement and the anti-war movement, but [Martin Luther] King was shot during my freshman year, and so much of America fell apart then. I wanted to be an activist and be involved in social changes, and so I really ended up in an acting school, at the San Francisco American Conservatory Theater, by fluke. What really attracted me to acting was the process. Most of my classmates were at the conservatory to become movie stars, but that was the furthest thing from my mind. I couldn’t even fathom being on television; I couldn’t fathom it. Then, when I got out, it was something you really needed to do to get health insurance! 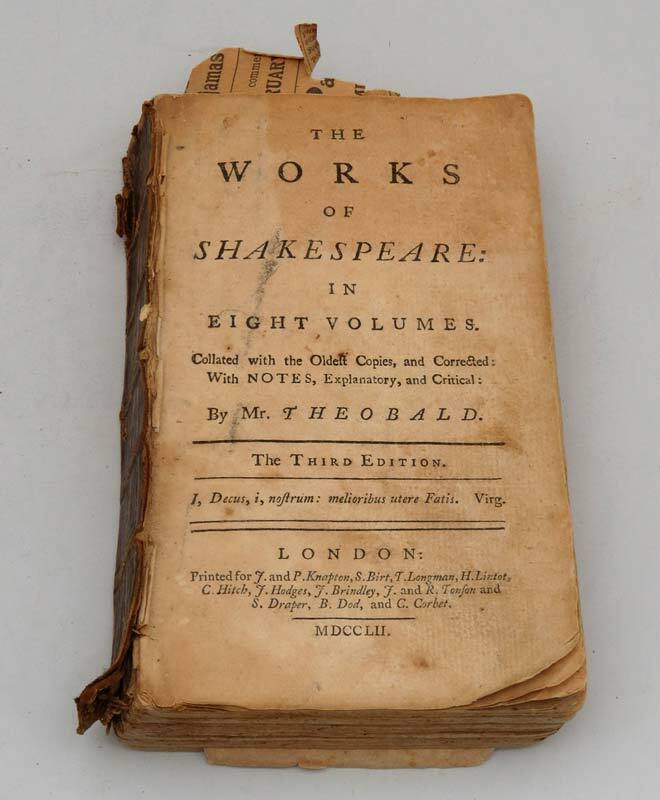 Various compilations, like this 1752 edition of The Works of Shakespeare, were important to early Americans as they created a sense of connection to England, expressed a certain level of knowledge, and created a shared cultural reference. In acting school, I was immediately enthralled with Shakespeare as an oral activity. I was fascinated with the fact that without stage directions, without psychological realism, which didn’t exist during Shakespeare’s time, these profound feelings of being a character in those circumstances would come to you, just by saying the words. I studied all kinds of things. I looked at chants. I listened to music. I soon discovered that I was not going to be a great Shakespeare scholar. After I finished my training in a conservatory I was still left with a question: How could Shakespeare capture the very essence of a person in a way that, centuries later, people could pick it up? By chance, I met a linguist at a cocktail party. I told her about my interests, and she said, “I’m going to give you three questions that you can ask people, and their syntaxes are going to fall apart.” The questions were: Have you ever come close to death? Have you ever been accused of something that you didn’t do? And do you know the circumstances of your birth? So I started interviewing people to get their syntax to break down. I would walk up to the lifeguard at the gym, and talk about swimming lanes in Japan and playing stick ball in the street. And there was this woman at a second-hand clothing store, and we talked about her mixed-race daughter, “the zebra.” I talked to this hairdresser about narcissism. The choreographer talked about New Mexico and [Béla] Bartók. I interviewed 20 people, and in the middle of the conversation about Bartók or the crunchiness of New Mexico, I’d say, “Excuse me, but I’m asking everybody these questions. Have you ever come close to death?” And then the question, “Have you ever been accused of something you did not do?” Then I made this performance, where all the people I interviewed were invited, and their friends, in a loft in Tribeca. What I’m doing now is making portraits of people and trying to compose those portraits on large tapestries about civic events and social problems. I am trying to put a face on an abstract problem and get you to laugh and cry and feel about this thing that’s going on, whether it’s race relations or healthcare and mortality. I’m trying to entertain you and to grab your attention by this thing that I’ve been able to do since I was a child, which is mimic, but do it in a very, very particular way now. I’m asking you to look at this very complex design of who we all are as individuals and as a society. Every once in a while with a person there’s a relationship that develops. A conversation develops because I did their portrait. I did a play about healthcare, because Yale [School of Medicine] brought me in as their visiting professor and asked me to talk to doctors and patients. And the patients had grueling stories. And so I did a second performance [Let Me Down Easy] by request, and I remember coming off stage, and there were the patients who had made their way to this second event that wasn’t even a public [performance]. 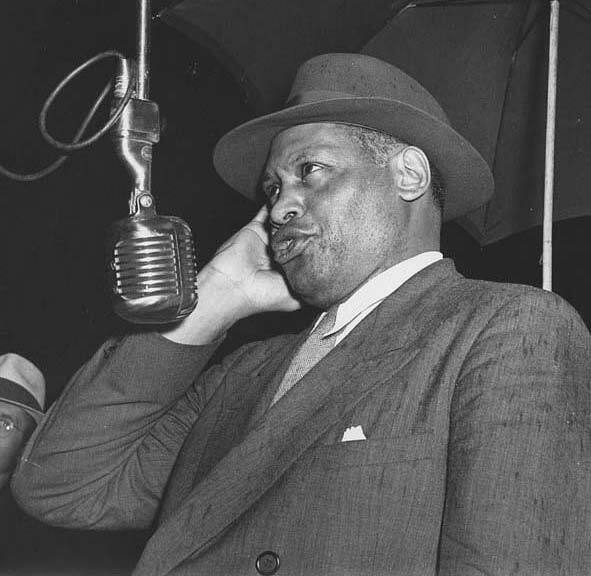 Photojournalist J. Ross Baughman covered the “three strikes” policy that contributed to an increase in the prison population. I’m working on Notes From the Field, and it’s about the “school-to-prison pipeline.” Kids who can’t get through school go to jail. I have a part where I perform a preacher at the funeral of young Freddie Gray, who was beaten in Baltimore in 2015, and it is said that he was killed while in custody by four police officers, who were subsequently released. The show is a call for a new civil rights movement. So maybe I’ll go to Charlottesville and talk to somebody and add it to the play. I performed at Berkeley, at the American Repertory Theatre in Cambridge, Mass. and here in New York at the Second Stage Theater. After that I took it into a soundstage and with the help of some terrific film artists, we filmed for HBO. I think the common experience we share as Americans comes from popular culture and from entertainment. But the entertainment industry is not what it was when I lived in Baltimore as a little girl. It’s a massive, massive power structure, which can do good or bad. I think there’s a way that it has to be reckoned with, that celebrities are a form of power, not just because of the box office but because they appear to be in the embrace of America. So they can, if they want to, cause good things to happen. There are probably a lot more people who know who Denzel Washington is than who know who Rex Tillerson is. So, other than the president of the United States, the people who carry the image of America in the world, I think, are mostly famous people in popular culture. James Baldwin, by Sadat Pakay, in Istanbul, Turkey, in 1965, where he spent time writing and thinking about what it means to be American. 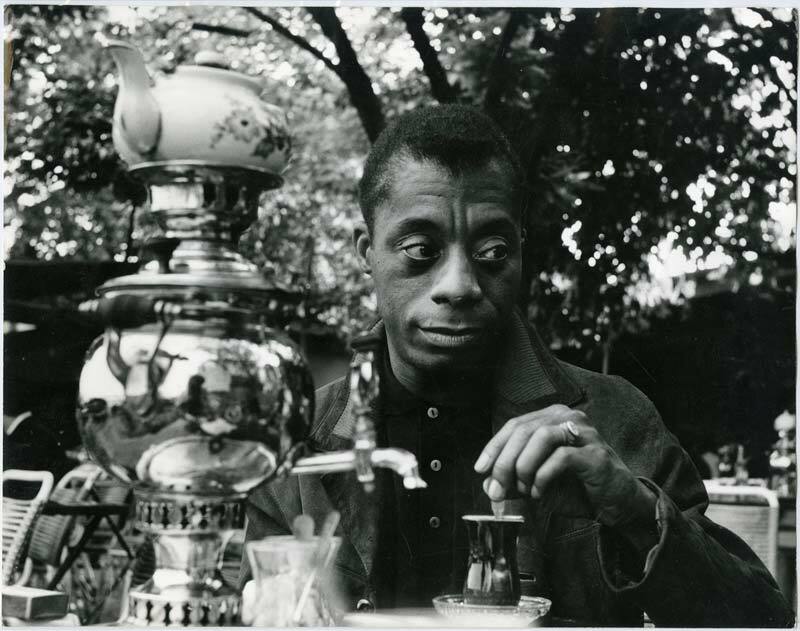 James Baldwin is a character in Notes From the Field, although I didn’t interview him. I took an excerpt from a long conversation that he had with Margaret Mead, called A Rap on Race, in the ’70s. And it’s a conversation which I required my students to perform — as Mr. Baldwin and Dr. Mead. I directed a very informal version of it for a two-night event at the Public Theatre. Baldwin sort of disappeared from the pantheon for a little while. For some reason they weren’t teaching him in schools. But he has come back with a vengeance, and he’s so important to us. His read of America in the very important and troubled ’60s is brilliant. So, as an Americanist, which I consider myself, James Baldwin becomes a very important figure as a portrait artist of America, and also a man with verbal acuity which can rarely be matched. I love the opportunity to talk like him because he says it better than I’ll ever be able to. So, to me, to speak as Baldwin is maybe what it is to some cellists to perform Bach.